Pastor Davis Clark has a big vision for his startup ministry, but he’s not worried. “Our God is a large God; we serve an awesome God,” he says. 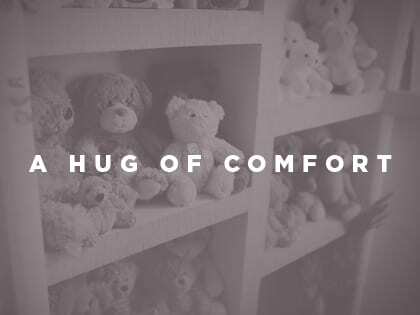 Clark, who leads Warren United Methodist Church in Lake Charles, Louisiana, has launched a teddy bear ministry, offering hospitalized children a hug of comfort in the form of a cuddly toy. Each month he visits Lake Charles Memorial Hospital to give new bears to sick children. Clark plans to first engage with every large hospital in the area, then, in the next three to five years, cover the state of Louisiana. And his vision doesn’t stop at the U.S. border. “I want this type of ministry in places like Africa,” he says. In addition to a bear, each child receives a Bible, information about the church and a unique, written prayer. Warren United, which averages between 150 and 200 members, has adopted the program wholeheartedly. The bears, both donated and purchased by the church, are stored on-site. Clark says he recently received a $2,500 check to go “bear shopping,” but he knows to successfully grow the ministry, he needs more partners. “We’ve come a long way in a few months, but there is so much work to be done,” he says, adding that he has invited Oprah Winfrey and Steve Harvey to come alongside the ministry. The teddy bear outreach isn’t going unnoticed. At this year’s annual Louisiana Conference of The United Methodist Church, the program was recognized with a Wesley Award. But for Clark, it’s all about the children.